FC Barcelona's players are renowned for their technical skills. 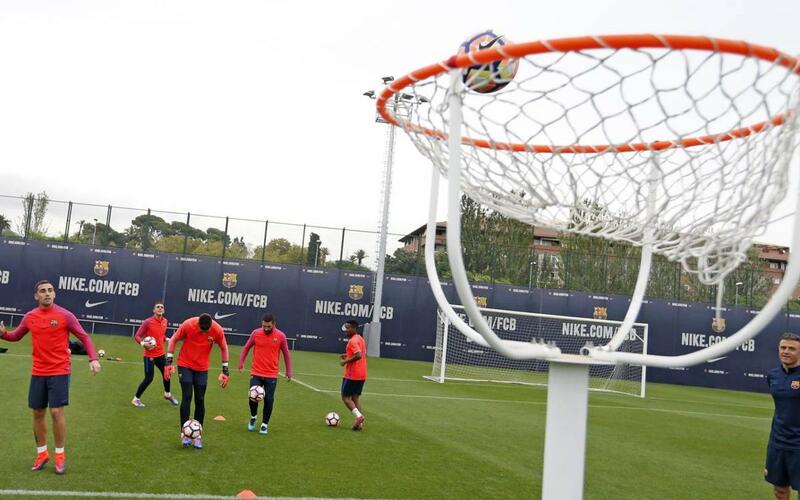 But at Thursday's training session, they were put to the test with a different sort of football challenge — one that involved not a goal, but rather a basketball hoop. But are any of the players capable of getting the ball in the basket? Check out this video and see for yourself!